Nintendo isn’t exactly known for creating cohesive and easy to understand online services, and it’s one of the areas it really falls behind other console brands like Xbox and PlayStation. Through the years we’ve gone through a variety of different accounts, IDs, and codes and now ahead of the launch of the Switch there’s a new account system you have to sign up for. So you’ve got your new Nintendo Account, your new User ID, your Nintendo Network ID, and is your friend code still a thing? Oh, and don’t forget about that My Nintendo page. So, what exactly are you going to need when you set up your Switch? To keep things as clean and simple as a first party Nintendo game, we’re going to lay everything out so you can see exactly what logins you’ll need and what they’re going to do for you. Your Nintendo Account is the basis for all your Nintendo needs and the first thing you should sign up for. It connects and gives you access to a whole host of Nintendo online services, including the My Nintendo rewards scheme and the various Nintendo mobile games like Miitomo. You don’t need to own a Nintendo console to sign up for this – you can just do it via the Nintendo website. You'll have to set up a dedicated Nintendo username and password but you’ll also be able to link your My Nintendo account to your Facebook, Google, and Twitter accounts so you can log in using them too. You’ll also see the option to log in using your Nintendo Network ID, but we’ll come back to that. From your Nintendo account page you’ll be able to see your user info, any eShop purchases you’ve made, toggle parental controls as well as other settings. There’s also a Check-In tab which takes you to your personalized Nintendo QR code which you’ll be able to use to access select Nintendo events, whenever they should crop up. So, now that you have your basic Nintendo Account, you’ll want to set up your new Account User ID, which Nintendo launched recently ahead of the Switch release. This ID is not the same as the Nintendo Network ID you may have set up for your 3DS or Wii U, it’s an entirely new ID. You’ll be able to set up this new User ID by going to your Nintendo Account profile page and selecting the User Info tab. Here, under your profile information and email address you’ll see a new section titled ‘User ID’ which will say ‘Not Set.’ Simply click the edit button and type in the ID you’d like. It has to have a minimum of six character and it has to be unique. We’d suggest getting on this pretty quickly if you want unique to mean ‘cool’ rather than ‘the only thing I could get’. As you’d expect all the Nintendo character names are gone at this point but you could still at least secure something that bears a resemblance to your own name. What’s this new Account User ID supposed to do? Well, it’s not entirely clear yet but it’s most likely that it’s going to work like Xbox Gamertags or PlayStation PSN IDs by allowing your friends to search for and identify you when you’re playing online. So you have your Nintendo Account and your new User ID. 3DS and Wii U owners are probably wondering at this point: what about my Nintendo Network ID? It’s been revealed that with the Nintendo Switch digital purchases will be tied to user accounts, rather than to individual consoles, and you’ll be accessing online services off-console via a mobile app so it seems that your Nintendo Switch won’t have any need for a Network ID. 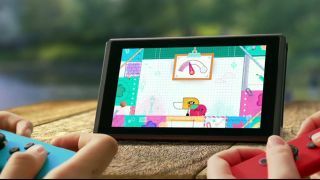 Instead, you’ll just need your Nintendo Account information and your new User ID to use online features and access past purchases as well as make new ones. According to Nintendo’s FAQ page your Network ID was an ID specifically created for the 3DS and Wii U systems in order to access online features and make purchases in the eShop while on your console. So, if you have a 3DS or a Wii U you'll still need your Network ID to access your purchases on these consoles as well as their online features. If you’re planning to purchase a Nintendo Switch, your Network ID will still be tied to your account for your old consoles, you just won’t need to use a Network ID for the Switch. If you've never owned a Nintendo console before, then you won't have a Network ID at all – you'll just have your Nintendo Account information and your User ID. What’s the deal with My Nintendo? Don’t worry, this isn’t one you need to set up yet another account or User ID to access. My Nintendo is the Nintendo rewards scheme that replaced Club Nintendo and is tied to your basic Nintendo Account. You use the same login to access it and can access it through your Nintendo Account page. It’s easy to forget about your My Nintendo page but it’s worth keeping an eye on. When you digitally purchase games or play the Nintendo mobile games tied to your Nintendo Account you’ll receive points that can be used to unlock rewards. They’re not great rewards (don’t expect many physical prizes) but nice themes and digital games aren’t to be sniffed at.